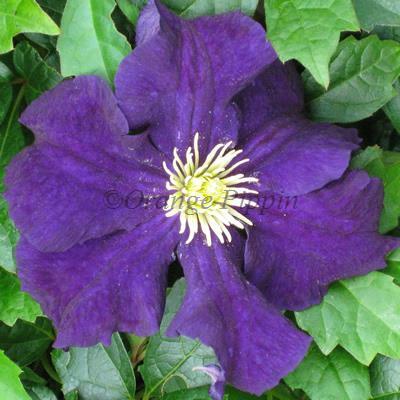 This outstanding variety of Clematis is perfect for patio containers and displays or can be planted in the ground, trained against a trellis, pergola, garden fence, wall or even allowed to ramble through the flower border among other plants. 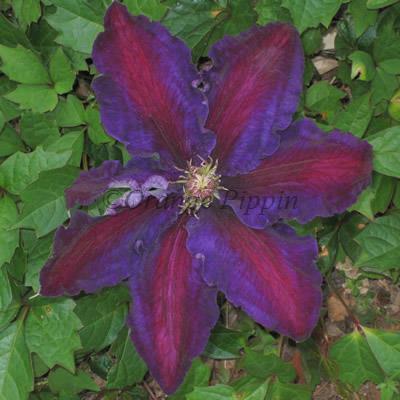 Clematis 'Black Tea' is a non-evergreen climber which has very dark coloured flowers, these being a mixture of deep purple and red with a dark red stripe and reddish-purple and white centres produced over a long period from late spring until early summer, then again in late summer and early autumn. Clematis 'Black Tea' was raised by Hiroshi Hayakawa of Japan in 1995.